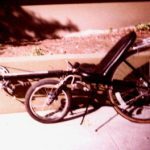 So much is being written about recumbents these days, and sites are now appearing on the Internet with adventures around the world on them. If you are a new to the sport, we encourage you to search around the Internet and view these accounts. People are finding that they are the healthiest form of cycling not only by providing excellent aerobic exercise, but by reducing the pains and injury on various parts of the body that are so common on the diamond-frames (a.k.a., “wedgies”). 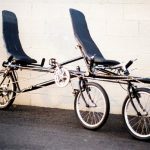 In addition to being the most comfortable, when also outfitted with full, front-and-rear fairings, turning them into a “HPV”, they also happen to be the fastest type of bicycle on the market. But most of all, they are a downright blast to ride! 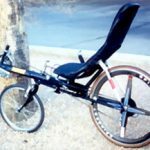 Just why is it that the recumbent is so fast, anyway? 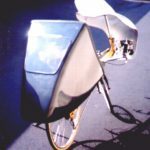 The answer is that air resistance is the greatest inhibitor to speed when riding a bicycle, and the recumbent provides the least frontal exposure to it. That is why Francis Faure, considered by many to be a second-rate rider at the time, was able to break a world record in 1933 on a recumbent. 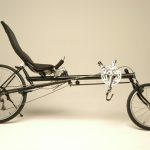 Since then, all world bicycle speed records have been set by recumbents. Resistances of Cycling Machines ChartReproduced with permission from Bike Cult: The Ultimate Guide to Human Powered Vehicles by David Perry. Published by Four Walls Eight Windows.